FREE Fare Fridays - METRO - PARTA - SARTA! 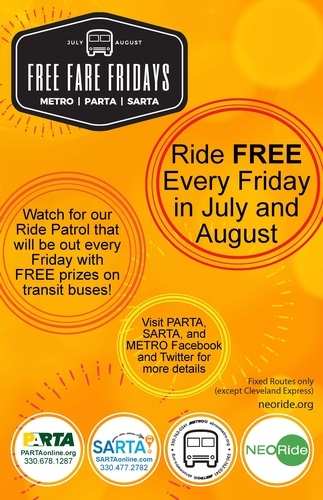 Name: FREE Fare Fridays - METRO - PARTA - SARTA! Ride FREE every Friday thru August! Visit PARTA, SARTA and METRO Facebook and Twitter for more details!